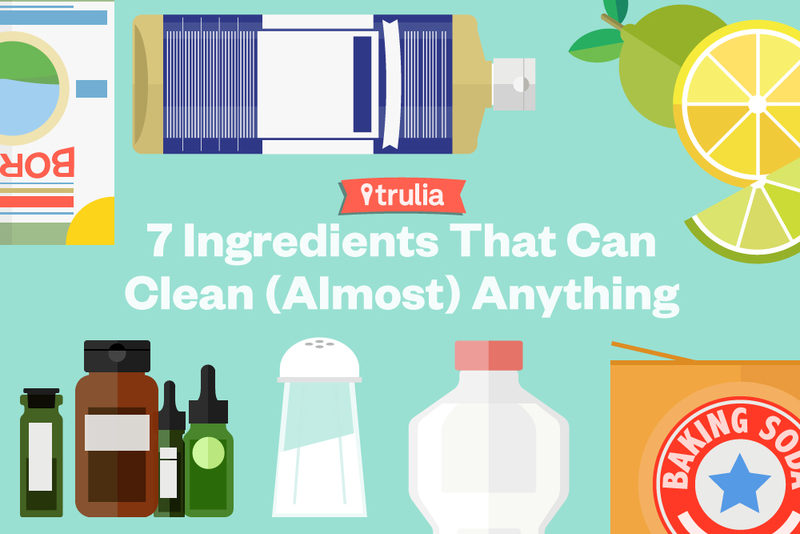 Our favorite all-natural ingredients for cleaning, as well as a few recipes for good, clean fun. 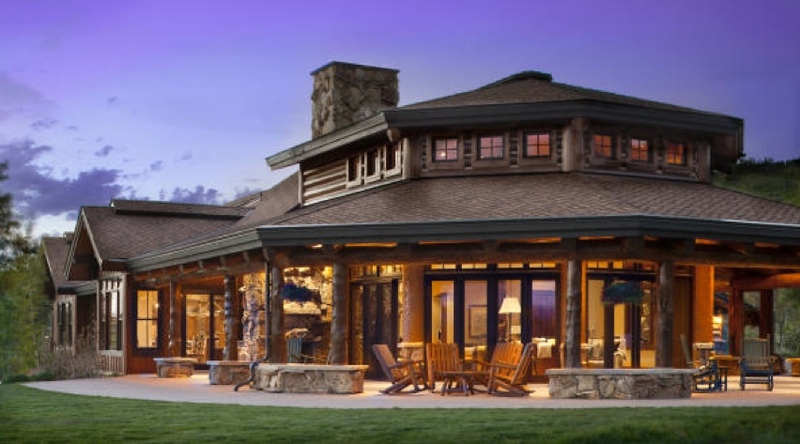 If your home is on the market, you might want to be careful to avoid offending a potential buyer’s sensitivities (ahem, please put down that bottle of industrial-grade bleach). If you rent, you might be looking to save money by making your own cleansers — or maybe you have roommates who can’t stand the smell of that lemon floor cleaner you’ve been using. Either way? These tips are for you. 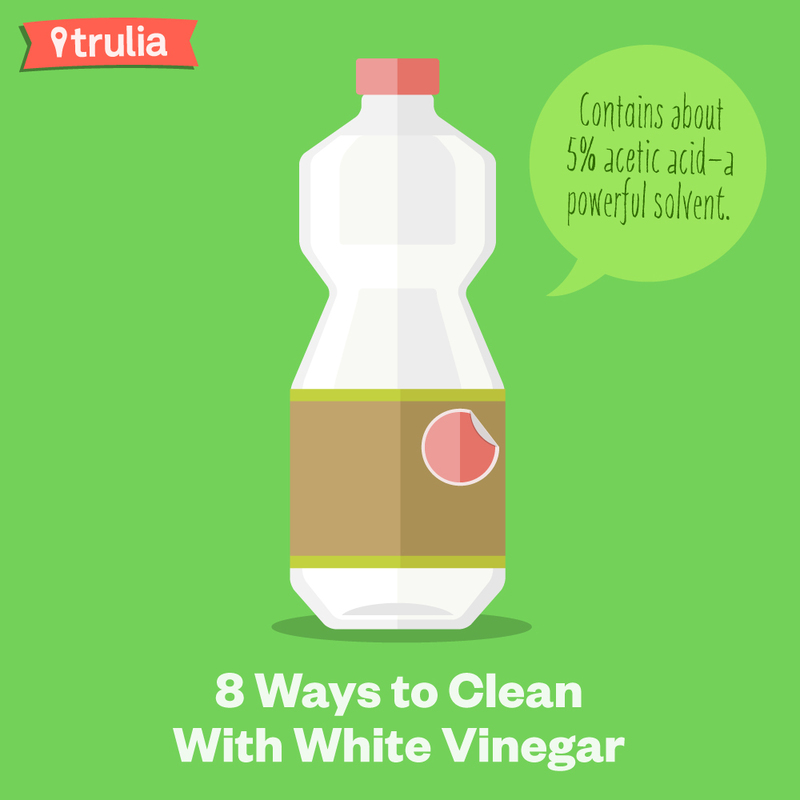 The granddaddy of natural, eco-friendly cleaners, vinegar is, by definition, a water-based solution containing about 5% acetic acid — a powerful solvent. Translation: The secret ingredient in your mom’s recipe for potato salad spells “lights out” for most bacteria, viruses, mildew, and mold. Remove mineral deposits from showerheads: Unscrew your showerhead, then place it in a plastic zip baggie filled with ½ to 1 cup of warm white vinegar. Let it sit for one hour to remove mineral buildup. For showerheads that can’t be removed, secure the baggie onto the showerhead using a rubber band. (This also works for sink faucets.) Postsoak, use an old toothbrush and a toothpick to further loosen deposits. 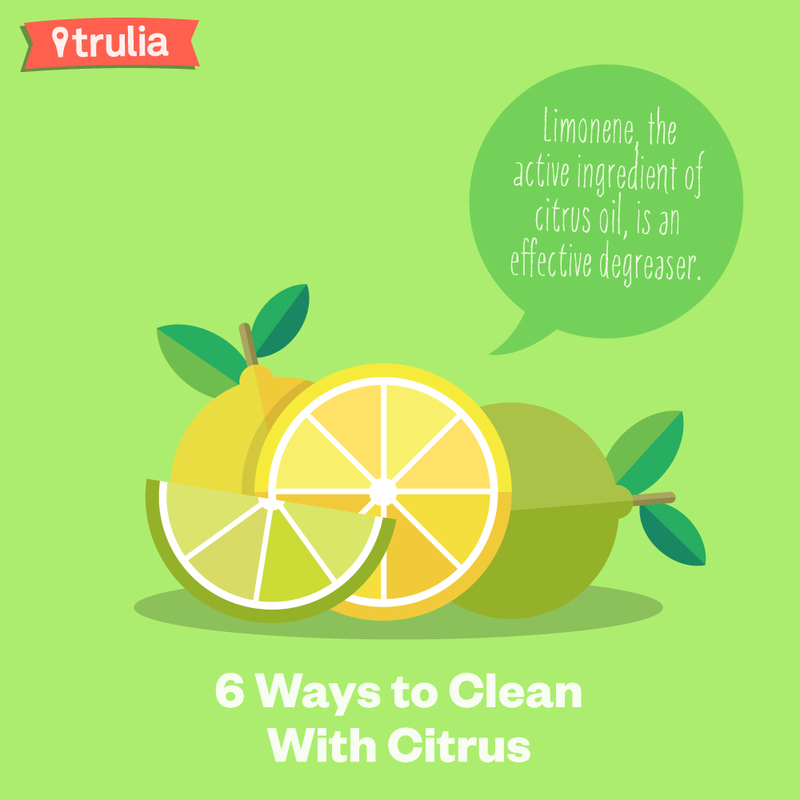 Like vinegar, the key to citrus’s cleaning power is its acidity, which proves the little lemon to be a cleaning powerhouse. What’s more, the peels of citrus fruit (grapefruit, oranges, lemons, limes, and the rest) contain limonene, the active ingredient of citrus oil, which is especially effective as a degreaser. Soap scum and rust remover: Banish soap scum and rust from your shower by rubbing affected surfaces with the cut surface of a halved lemon. Allow the juice to work its magic for about a minute, then use a scouring pad to finish the job. Scented all-purpose cleaner: Add enough citrus peels to fill one-half of a large Mason jar. Pour white vinegar over the top to fill the jar, then place the lidded jar in a cool, dark place to infuse for at least two weeks. Strain the solution, pour it into a spray bottle, and use it as you would an all-purpose cleaner. Hands-off microwave cleaner: Add a few tablespoons of lemon juice to one cup of water in a microwave-safe bowl, then heat the mixture to boiling in the microwave. Allow the steam to penetrate baked-on grime for 10 minutes before opening the door and giving the interior a good wipe. Fabric whitener: Add 1 cup of undiluted lemon juice to your laundry to whiten and brighten clothing. Furniture polish: Combine one part undiluted lemon juice with two parts olive oil, pour a little onto a lint-free cloth, and use it to shine wooden furniture and fixtures. The superfine grit of this powdery white substance, better known as sodium bicarbonate, comes in handy for those jobs that require extra-gentle abrasion. And what other ingredient do you know of that can make cookies rise, soak up bad odors, and sweeten a drain? It’s all in a day’s work for this wallet-friendly ingredient. Clean hairbrushes and combs: Coat hairbrushes and combs in a paste of baking soda and water to remove product buildup. Deodorize carpets and rugs: Sprinkle a thin layer of baking soda all over your carpets, then allow it to sit, preferably overnight. Vacuum to reveal fresh, odor-free rugs. Shine silver: Make a paste of three parts baking soda to one part water. Massage onto tarnished silver to polish and shine, follow with a rinse of warm water, then dry. Rejuvenate plastic food containers: Give new life to stained food containers by scouring the surfaces with baking soda, then soaking them in a solution of water and baking soda. Clear a clogged drain: Sprinkle baking soda down a clogged drain, chasing it with double the amount of white vinegar. Let it sit for a few minutes, then follow the fizzing mixture with boiling water. Fight household odors: Sprinkle a little baking soda into cat litter pans, into clothes hampers, and over the bottom of garbage cans to help ward off bad smells. Remove crayon marks: If your pint-sized Picasso uses walls as his canvas, sprinkle a little baking soda onto a damp sponge and gently buff away the crayon. Clean your oven: Coat the surface of your oven in a paste of baking soda and water, avoiding the heating elements. Allow it to sit overnight and then use a damp rag and a silicone spatula to remove as much paste as possible. Complete the task by spraying down the oven top with vinegar, then wiping with a rag once more. For those of us outside the chemistry lab, sodium borate (aka borax) is better known as a laundry booster than it is a compound of boron. Borax’s roots can be traced back to well before the washing machine, however — 4,000-some years, in fact, when this white mineral powder is believed to have been discovered in dried saline lake beds in Tibet. 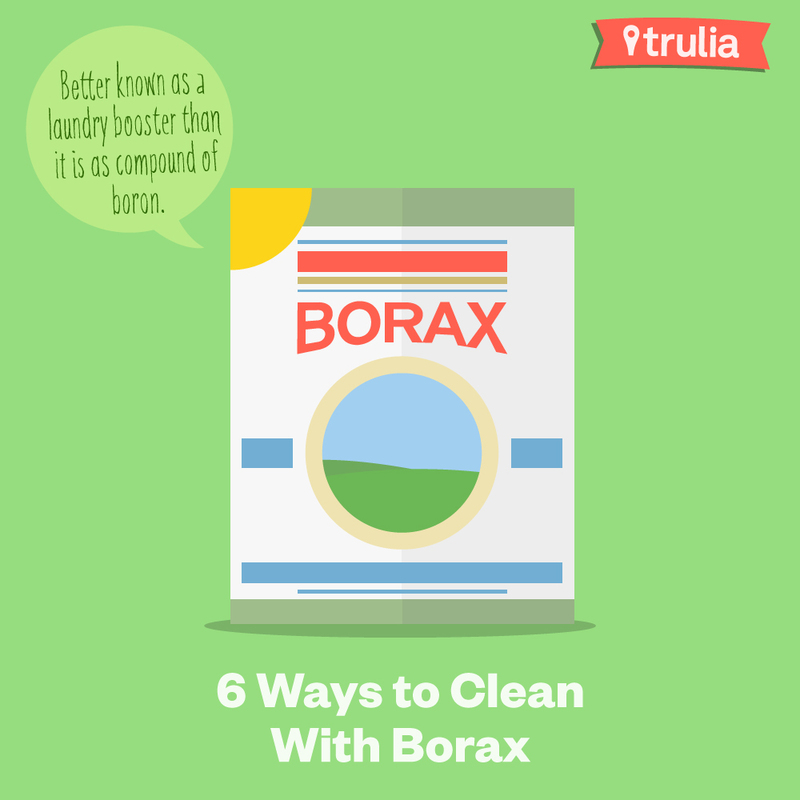 Laundry booster: Add half a cup of borax to your laundry to boost the power of your regular detergent. Insect deterrent: Keep creepy-crawlies at bay by mixing equal parts borax and sugar and strategically sprinkling it around the house. The boric acid in borax is poisonous to many insects, and it’s also said to be an effective rodent deterrent. Dishwasher detergent: Replace powder dishwasher detergents with equal parts borax and baking soda. Goo remover: Make a paste of two parts borax to one part water and use it to tackle stubborn adhesive residue. Outdoor furniture cleaner: Prep your patio furniture for the season by spraying it down with a solution of 1 teaspoon of dish detergent, 1 teaspoon of borax, and 1 quart of warm water. Wipe and rinse. Pots and pan cleaner: Sprinkle borax onto a damp sponge, then use it to remove grease and baked-on messes from cookware. Castile soap is vegan and all-around Earth friendly, but that doesn’t mean you have to have a penchant for patchouli to keep a bottle of this stuff stashed under your sink. The gentle, vegetable oil–based soap can tackle dirt and grime on pretty much any water-safe surface — and that includes the hair and skin of people (and pets!). You can buy castile soap in bar form, but most cleaning applications call for the soap in its liquid state. 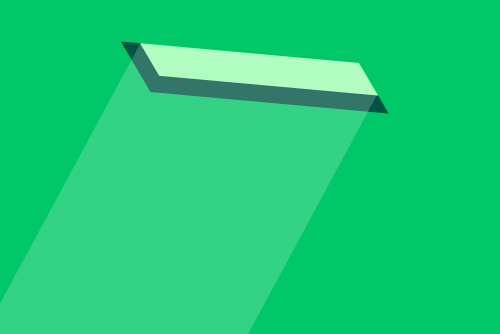 Window cleaner: For streak-free windows, spray your panes with a solution of 2 cups of water, ¼ cup of vinegar, and 1 teaspoon of castile soap. Wipe down using black-and-white newspaper. 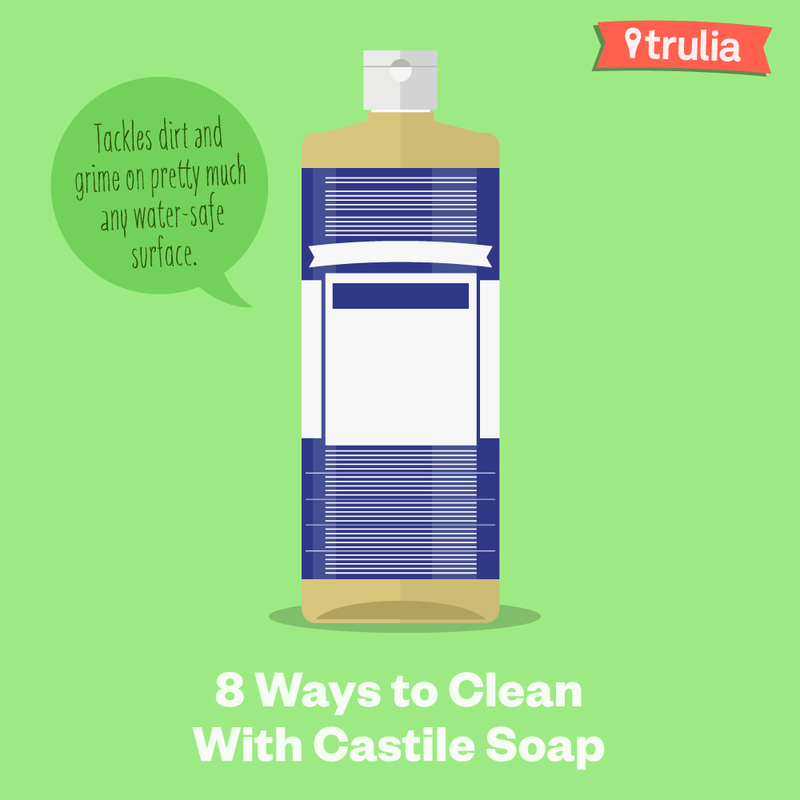 Liquid dish soap in a pinch: If you run out of store-bought soap, use diluted castile soap to hand-wash your dishes. DIY baby wipes: For a better clean during diaper changes, soak a few reusable cloths in a solution of 1 cup of water, 1 or 2 drops of tea tree oil, and a teaspoon or 2 of castile soap. 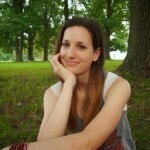 Laundry detergent: Combine ½ cup of castile soap with 1 cup of borax and use it as you would regular laundry detergent. 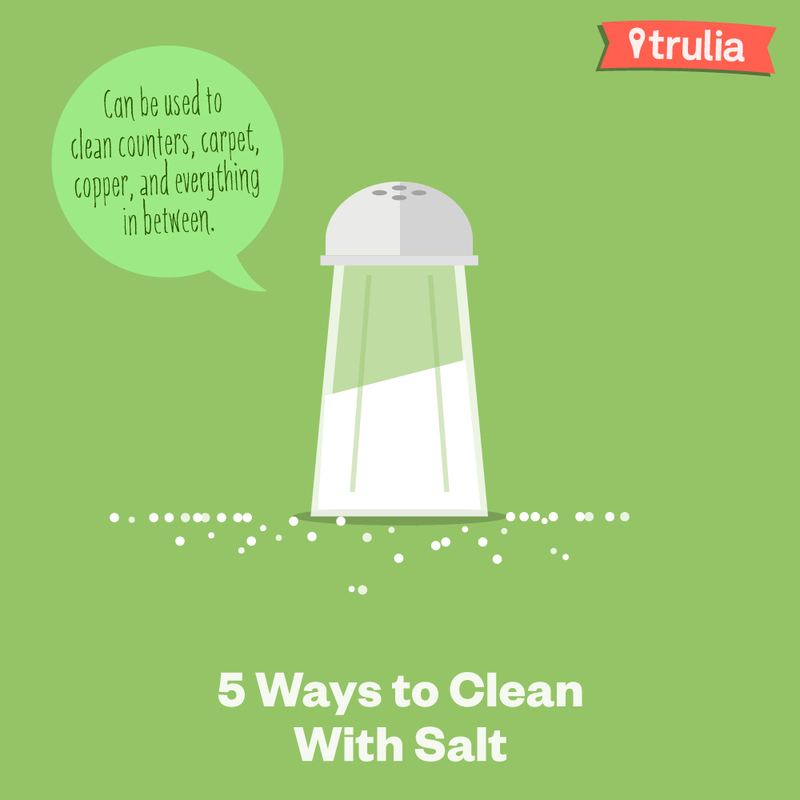 Kosher, sea, table, iodized, noniodized — no matter what type of salt you sprinkle into your favorite recipes, the same crystals can be used to clean counters, carpet, coppers, and everything in between. Perhaps better still, this ingredient earns brownie points for being nontoxic and seriously affordable. Remove coffee stains from mugs: Make a paste out of equal parts salt and vinegar and massage it into stubborn coffee stains on ceramic mugs. Clean cast-iron cookware: Clean your cast-iron cookware without affecting its seasoning by heating a bit of oil in the pot or pan, sprinkling in ¼ cup of salt, then using the paste to scrub away baked-on food. Remove the paste from the pot or pan using a paper towel. Clean copper, pewter, and solid brass: Cut a lemon in half and sprinkle the cut surface with salt. Rub the lemon all over the metal being cleaned before rinsing thoroughly with water. Remove water stains from wood: Someone forget to use a coaster? Remove water rings using a paste of salt and veggie oil. Let it sit one hour before buffing away with a rag. Bleach perspiration stains: Mix 1 quart of hot water with 4 tablespoons of salt, then apply it to the yellowed area with a sponge until it fades away. 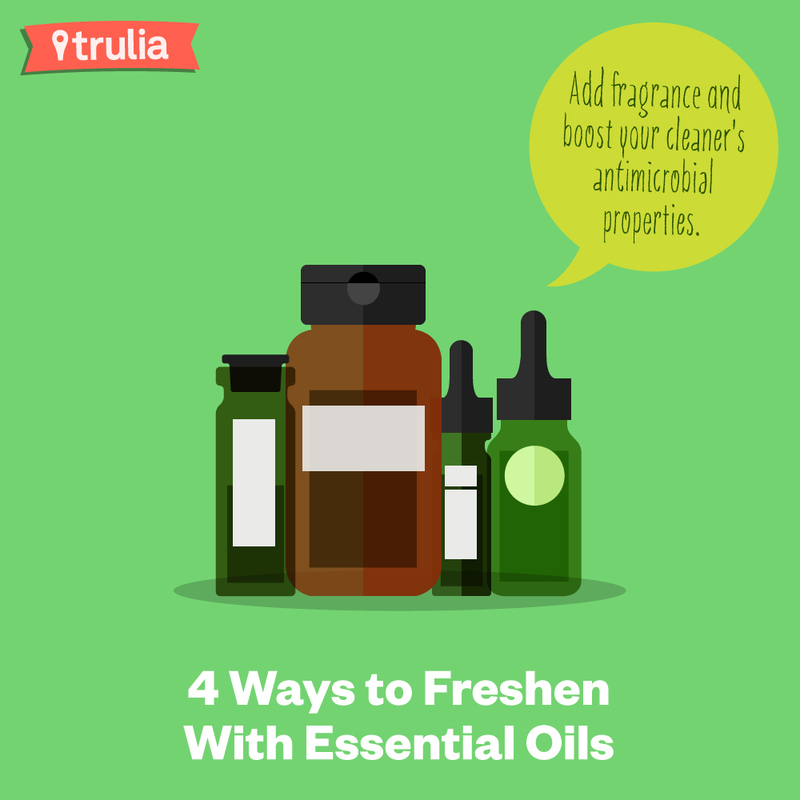 In the world of DIY cleaners, essential oils are the icing on the eco-friendly cake. Reach for these tiny amber bottles to add a fragrant finishing touch to sprays, pastes, and powders while also boosting your cleaner’s antimicrobial properties. Who wouldn’t prefer the aroma of lemon, lavender, or mint over a whiff of bleach? Toilet bowl cleaner: Combine 2 teaspoons of tea tree oil and 2 cups of water in a spray bottle and then direct the spray to coat the toilet’s inner rim. After it sits for half an hour, follow with a good scrub. Vacuum freshener: If your vacuum emits a less-than-pleasant odor, try this trick: Add a few drops of your preferred fragrant oil to a cotton ball, then vacuum up the ball. Stovetop cleaner: Orange oil is particularly effective at cutting through tough grease. 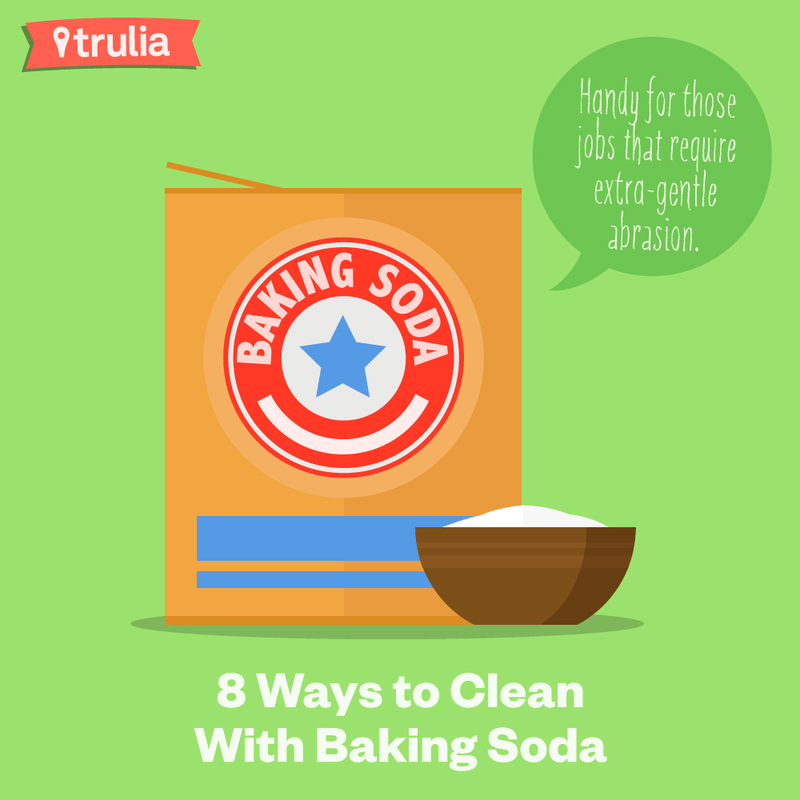 Apply it to your greasy stovetop to wipe away cooking messes and leave behind a pleasant citrus scent. Air freshener: Combine 10–15 drops of essential oil with distilled water in a spray bottle and use it to add a light fragrance to your home. Peppermint, lemon, and lavender would all work well here. Plus, you'll pick up some new skills in the process!